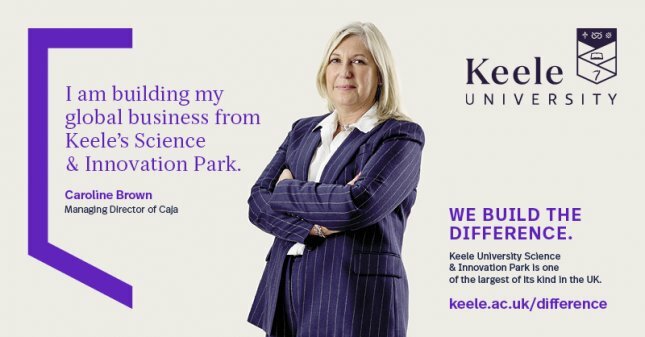 As you may have seen, we’ve been part of Keele University’s Keele Difference marketing campaign. The Keele Difference highlights the impact Keele University makes locally, nationally and globally. With world-leading research and forward thinking business support. Caroline also took advantage of the Mercia Centre for Innovation Leadership (MCIL), a six-month programme established to address challenges and improve ways of working. “Participation has not only developed me professionally, but it has enabled us to challenge our business strategy and plan for the future. We are also working with the Keele Research and Innovation Support Programme (KRISP) to research how the use of AI could add efficiencies to our clients. All this illustrates how key being based at Keele University has been in the development and growth of Caja and really shows the Keele Difference.